Pro-regime “Damascus Now” Facebook page shared photos said to be exclusive photos of a protest in Daraa city against Trump recognizing occupied Golan Heights as an Israeli land. 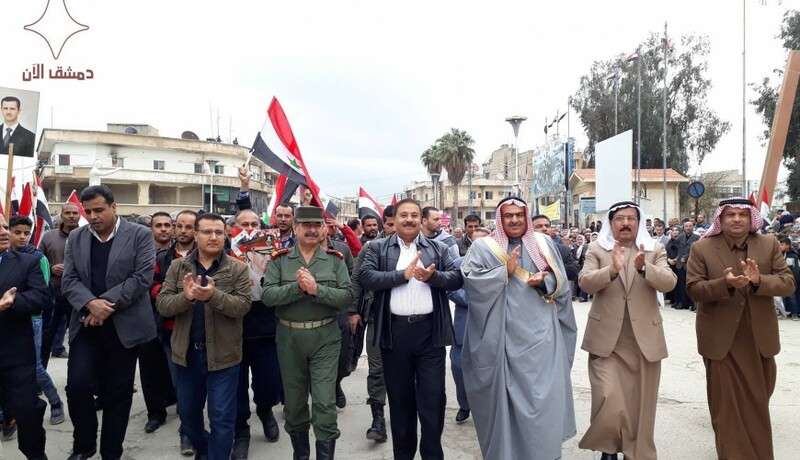 Verify-Sy searched for the source of this photo but it turns out that these photos are in Hasakah province not from Daraa, the photos shows the regime Hasakah mayor Jayez al-Mousa standing in front of the Teachers Syndicate in Hasakah city. 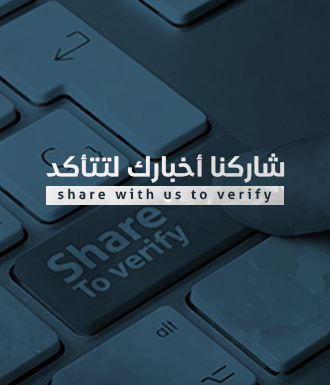 Local activists told Verify-Sy that the photos are from Hasakah while others from Daraa denied that these photos are from Daraa city. Worth to mention that Daraa city have been witnessing anti-Assad protests in the past week after the regime captured the whole city. While in Hasakah province the regime only control a small area inside the city known as “Security Box” including Meridian neighborhood, al-Mohafaza Street, al-Qadaa Street and parts of al-Mahata Housing district while PYD-led forces control the rest of the city.